If you need to replace your scooter battery chargers, you can order them at SF Cable. We have quality scooter battery chargers available at competitive prices. 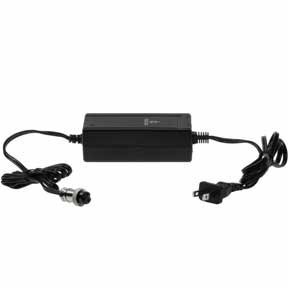 Our range of scooter battery chargers include Scooter Battery Charger 24V 1.5A 3-Pin Inline with USA Cord, Scooter Battery Charger 24V 2A 3-Pin XLR with USA Cord, Scooter Battery Charger 24V 1.5A with USA Cord, Scooter Battery Charger 24V 2A 3-Pin Inline with USA cord, Razor Equivalent Scooter Battery Charger 24V 2A 3-Pin Inline with USA cord, and other products to meet your requirements. We offer the best your money can buy. All the products are environment safe and are manufactured by ISO 9001 - 2000 registered manufacturers nullifying any doubts about the quality of the products.